As a local and family run business, we have strong ties to our community and like to do what we can to support local and national charities. Whether we’re part of a high profile event or helping our staff raise money wearing silly clothes and wigs, drinking coffee and eating copious amounts of cake, then we love to get involved! It’s great to support these causes and it brings our Anglia Freight teams together for a bit of team building with a smile! Here are some of the good causes we’re supporting in 2018. Women V Cancer – Ride the Night – We’re thrilled to be supporting our very own Danielle Jones, who is one of the thousands of women cycling around London as part of Ride the Night on Saturday 5th May and Saturday 26th May 2018. Part of the Women V Cancer series, this is a unique fundraising partnership between Breast Cancer Care, Ovarian Cancer Action and Jo’s Cervical Cancer Trust. The 100km route takes in some very famous landmarks including Buckingham Palace and the London Eye. Danielle says that you never know who will be affected by cancer. It could be a close friend or family member and she wants to do her bit to help. As well as having the satisfaction of completing this tremendous achievement, Danielle aims to hit her £250 fundraising target. With three training rides a week, covering nearly 50 miles, she loves being in the fresh air. It’s not how fast you go, but it’s about enjoying the scenery, having fun, loving the experience and sharing it with the people around you. If you’d like to help Danielle hit her fundraising target, click here. 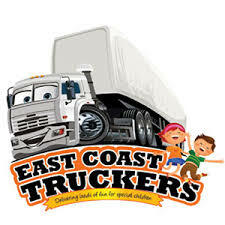 East Coast Truckers – is a registered charity and provides memorable days out for disabled and disadvantaged children aged between 5 and 16, living in East Anglia. They also provide much-needed equipment and free holidays for the family. It is such a fantastic charity and we’ve been supporting them for several years. Every August Bank Holiday Sunday, they organise a road trip consisting of 80 trucks of assorted sizes and colours. Each cab takes one child and their carer to Pleasurewood Hills for the children to enjoy a day out and have hours of fun and entertainment to a chorus of cheers and honking horns. It’s quite a spectacle and each year one of our Anglia Freight trucks, driven by one of our drivers, Paul Ready, can be seen in that special convoy. 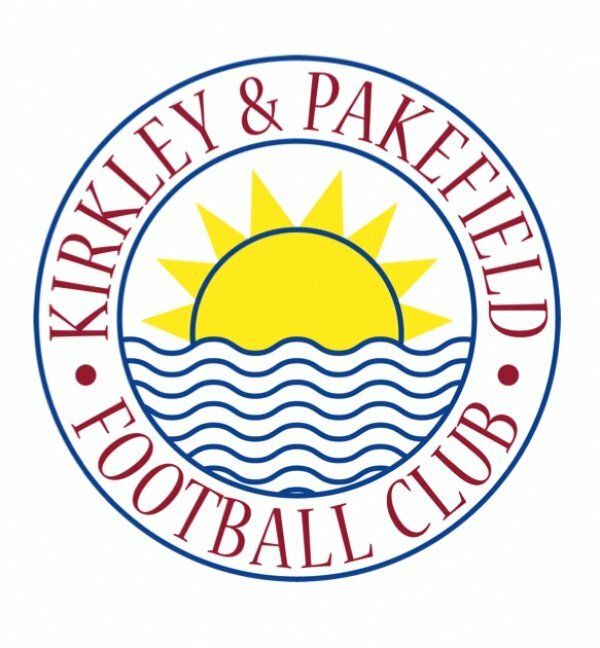 Kirkley & Pakefield Football Club – Supporting community ventures is a key part of Anglia Freight’s ethos and we’re delighted to have been able to help a new team purchase their very first kit. 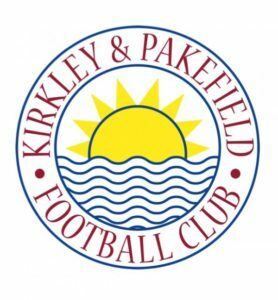 The local Kirkley and Pakefield Football Club already has children from some of our families playing for them as well as Stuart Gough, one of our drivers, being Team Manager. At the beginning of the season, Stuart knew he had to volunteer for the job rather than see the team fold when the previous Manager had to step down. He now runs the weekly training sessions as well as being involved in all the weekend matches so that everyone can still enjoy the game, learn team skills and keep fit. Stuart’s wife, Sarah, also got involved, making sure the team had the right equipment. They were wearing borrowed shirts, so she set out to find a sponsor whose money would pay for the much-needed kit. We were delighted to get involved as having your own strip brings everyone together with a sense of teamwork and drive to succeed. The team are now wearing their new kit and with results improving we’ll no doubt see them gracing the Wembley turf very soon! GoGoHares 2018 – This year we’re honoured to be one of the GoGoHares sponsors, supporting local charity, Break. We have all seen the previous Break projects (GoGoDragons and GoGoGorillas) creating such an impact and capturing peoples’ attention. It was important for us to raise awareness of the wonderful work Break does and support a cause that staff could interact with and enjoy along the way. Break provides a range of high-quality services for vulnerable children, young people and their families. Whether in care or moving on, suffering from a disability or those children at risk, Break provides essential help and support. This year, Break celebrates its 50th anniversary with the Break GoGoHares trail taking centre stage. Hares will appear on the streets of Norwich and Norfolk on the 24th June, hopping home on the 8th September. Hot off the press! Starting on Tuesday 27th March we’re running our very own fantastic ‘hare spotting’ competition to win a space grey iPad Pro 10.5 inch with Wifi and 64Gb storage. As one of the proud sponsors of GoGoHares 2018, we have our very own hare. Up until now, we’ve kept his identity a secret, but as reveal time approaches we’ve decided to have some fun and have hidden 25 images of him on our website. Over the next 25 days, all you need to do is find these images of our hare, piece them together to create his picture and email it to us. The lucky winner will win the iPad! All the details you need, together with our Competition Terms & Conditions can be found here. So, what are you waiting for? Hop to it! Kids Safe – Every day, our vehicles move through Eye and surrounding areas with pupils and their families seeing them regularly. As such, we wanted to do our utmost to ensure that everyone at the school knew of the dangers of moving vehicles and was aware of how to keep safe when near them. In 2017, Anglia Freight signed up to sponsor the Kids Safe charity. We purchased 20 sets of safety board games for a local school to use in the classroom. Our team also took part in a ‘road safe’ assembly to raise awareness of what the Anglia Freight staff do to be safe at work and what the children can do to be safe when they are out and about. We are delighted to be continuing with it this year.